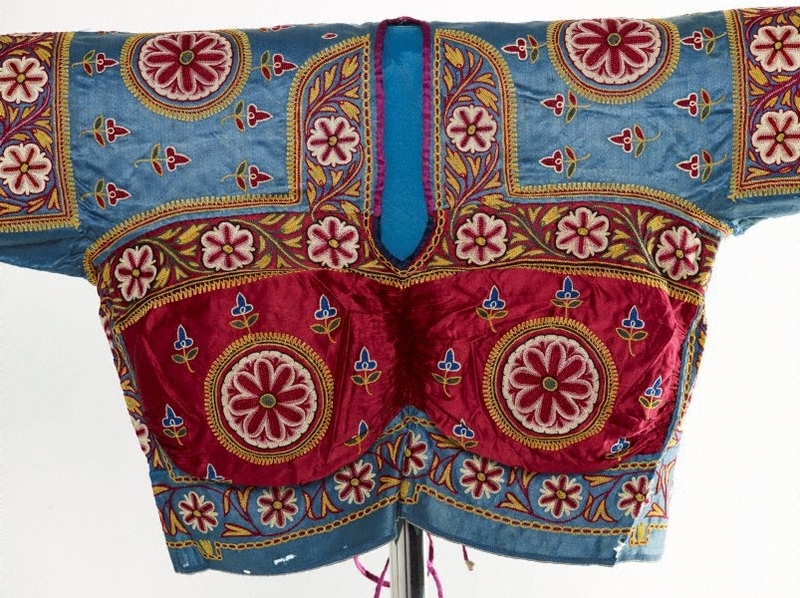 This blouse is a fine example of the court embroidery and metal weaving associated with the Kutch princely house in Gujarat, India. 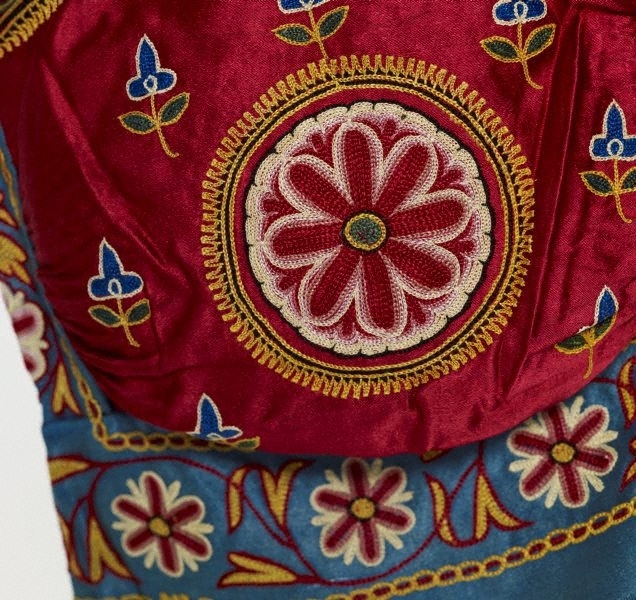 About two centuries ago, the embroidery style developed from the patterns and techniques used by mochis (cobblers and leather workers). The Maharaos of Kutch and their queens became the patrons of the new embroidery used to produce skirts, blouses, and hangings. Initially, the nobility and the merchant class of the region patronised male professional embroiderers, but the technique spread into the countryside where women adopted it.